H.E.M. Newman, in his "Resume of the Newman Background and of its Connections with Somerset" records that "Charles II after his restoration, rewarded Richard for his loyalty and for financial help during his exile with a royal augmentation, namely 'gules a portcullis royally crowned' to his coat of arms, viz: quarterly sable and argent: in the first and fourth quarters three mullets argent as per the illustration below. 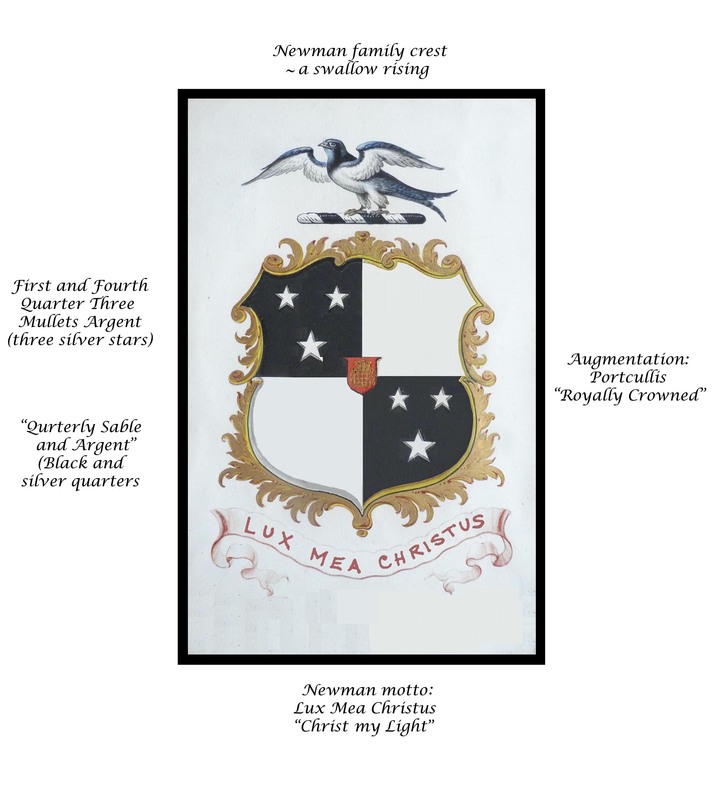 The above crest was redrawn (using photoshop) from an original family crest that came down through my father as below. 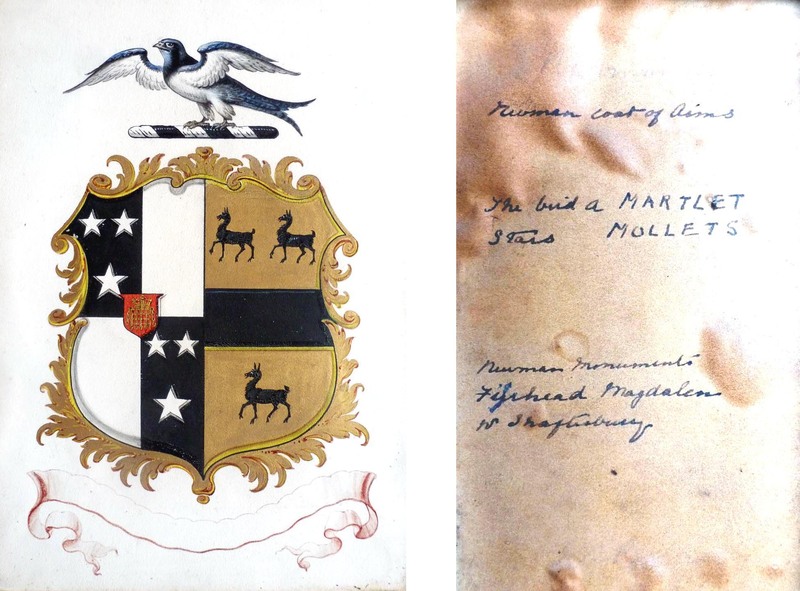 Here the Newman crest is impaled with that of the Jekyll family, (black deer? on the right side of the shield) representing the marriage of Edwin Newman and Charlotte Jekyll c.1828. On the right is the reverse side of the image. It may be questioned whether the bird shown on the family crest is (or should be) a swallow, a swift or a martlet - a martlet being "a bird without beak or feet; as a mark of cadency it denotes the fourth son" (source WordWeb Pro). The bird illustrated on the crest, having both feet and beak, is clearly not a martlet. The feathers on the legs discount the likelihood of it being a swallow unless it represents a very young one. Last Updated: 13 Sep 2015 - reference to John Lehman's website added.